Phew....I just panicked when I saw the thread was moved though in my heart I don't think this is going to end well. I've been listening to videos and reading links but I can't find anywhere that reports Deborah either did or did not withhold the information of the 'wine buying' trip from police. Thanks in advance if you've got the link and are kind enough to post it! I'm still coming up empty handed. Anyone else??? Thanks! I hope some newsy outlet asks about the "reward fund" that was being set-up for Baby Lisa. set-up the funds, when they were in Tent City. IMO. I believe CBB said she heard it on FoxNews. I'll see if I can find it. The reports make is sound like they searched the grocery store only after finding a receipt and not because it was someplace Lisa's mom had told LE. The search for missing 10-month-old Lisa Irwin entered its second week today with Kansas City police searching the well of an abandoned house near the girl's home for several hours before hitting another dead end. More than a dozen investigators and firefighters crowded around an opening created in the old wooden deck to access the well. A yellow and red tripod was set up to lower firefighters into the well. But several hours later, the well had been drained and nothing was found. This was the latest attempt to make progress in a case that has baffled investigators and left them grasping for new ideas. Thank you Cherry6905 for the link to that fb account. I brought it forward hope you don't mind. This is Deb's Aunt Cindy Chivalette LeRette, didn't I see her speaking for the family a few times. I think it was she who came out to the reporters and said the Irwins had a deal with a major network. There are some photos that will break your heart. They look like they maybe from Irwin home, photo of Jeremy too. Looking like a pretty normal family. It's sad. I think I know why the office window was accidently left opened by mom...I do believe she smokes...I wondered being a fellow smoker myself, now I see the way she is holding her hand in some of the pic's and the smokes in the background, imo. That just burns me. 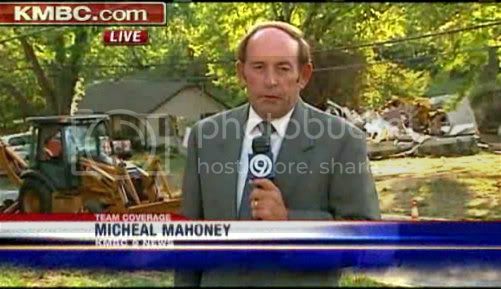 Not at you of course, lol, but the reporters. Why can't they just come right out and say YES the mother told, or NO she did not. It's this kind of half-truth reporting that muddying up the waters. So yeah I'm a little frustrated. Thanks tons for your help though! so are they tearing the whole house down? CBB thank you for the info you posted.. I dont know why they just dont say the guy at store was not involved or suspected. they keep us guessing, so good to know.too bad the cell phones turned up nothing too. Missing Baby Lisa Irwin: What Are Police Looking For? On Monday, Grand jury subpoenas were sent to multiple Kansas City television stations, requesting "all footage, including raw footage of any interviews or statements given by neighbors, family or friends of the family, regarding missing baby, Lisa Irwin." Jim Roberts, a spokesman for the prosecutor's office, told the Associated Press that the subpoenas were needed to prevent broadcasters from destroying video in the event it might be needed at a future date. R. Michael Cassidy, a professor at Boston College Law School, told MSNBC there could be several reasons for seeking the footage -- including an attempt to identify inconsistencies in Lisa's parents' accounts of the events surrounding her disappearance. "It could mean that they have one or both of the parents as suspects, and they are developing evidence of everything they said in the past and prior to the arrest," Cassidy told MSNBC Tuesday. "To show that someone's story has shifted over time can also be very damning." 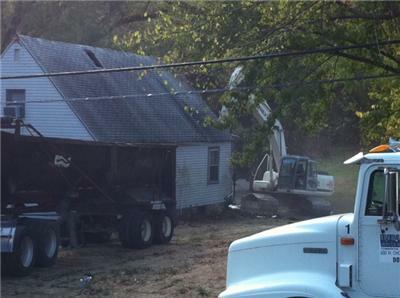 House where the search for baby Lisa was conducted on Tuesday has been demolished. Not exactly sure why. Video on vacant torn down home..
Once again I am going to say this because I said it in the other thread...I don't ever hold much hope in a case where they go to the GJ this early..they are grasping at straws, IMO. Any case where they have gone to a GJ this early has always focused on a family member and come up empty. Think Hailey in Texas, Kyron Horman in Oregon, and then Drew Peterson in Illinois..no arrest warrant surfaced...and they could have just used the regular judge issuing the search warrant or whatever they want. I say that LE is in the nowhere zone..and therefore focused on the family..but I don't see a family problem here...as I did in the past three cases I mentioned. I think that Mom fell asleep with the lights on and the door unlocked and someone who knows the family or has been watching the family took advantage of the situation. Not everybody in suburbs locks their doors every night..and someone might have been watching and realized that the Dad was working overnight shift and the Mom was there alone..forget the unlocked doors and the lights..lots of crimes happen with locked doors and lights out..and still people go missing.